What Are the Various Types of Porcelain? We all have seen the porcelain dolls, dishes and other decorative works at our grandparents’ house, adorning the china cabinets to greet the guests. Through these pieces, we get a glimpse as to what was considered beautiful in the past. Porcelain china is made out of a very strong material while still maintaining a quaint, elegant appearance. Its durable, yet beautiful design makes it a popular mainstay through centuries becoming one of the most valuable antiques sold in shops. Originating in China around 620 A.D., porcelain is made with Kaolin, a layered mineral with aluminum oxide and silica deposits. Porcelain is heated at extremely high temperatures in order to enforce durability. The firing process heats to approximately 1,455 degrees Celsius in order to produce porcelain. Anything much lower creates fine china, which provides a more fragile piece of work. Bone China The appeal of porcelain focuses on its glass-like qualities. Most forms of genuine porcelain undergo a glazing process, where the porcelain is coated with a glassy shell that can be decorated to create the beautiful designs that porcelain is known for. If the decoration is applied on the porcelain itself, it is known as the underglaze. If applied on top of the glaze, it is the overglaze. Bone china originated in England while genuine porcelain was the standard throughout the rest of Europe. Bone china contains more aluminum oxide and crystalline materials in order to strengthen the rims as there is less glass used to make it. In addition, bone china typically contains at least 25% ash from cow bone. If made in England, bone china contains at least 50% bone ash. 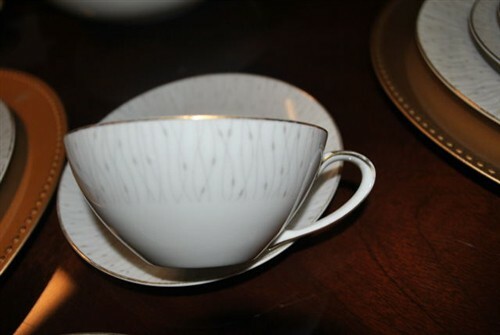 Even though bone china doesn’t have as many glass properties, it is more translucent than other forms of porcelain. 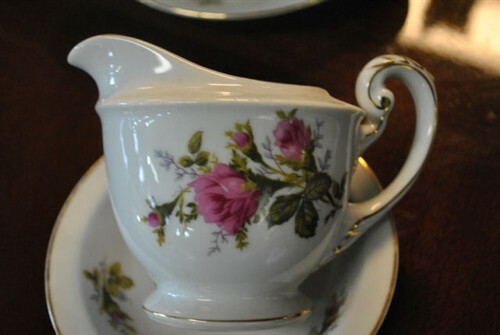 The production process of bone china is very similar to other porcelain types, with bone china being softer than porcelain and not heated as much. The most noticeable difference between stoneware from the previous porcelain styles is the fact that stoneware is not translucent. It also weighs more than what its size may indicate. Stoneware is baked with a higher temperature than other forms of porcelain and doesn’t use a glaze. As a result, stoneware doesn’t come in many shades of color and is usually decorated to make up for the limited variety. The color of stoneware differs depending on how the porcelain is fired. Oxidation firing turns the stoneware yellow, while reduction firing makes it gray in color. In order to change the color further, stoneware is made with silica to turn it white. Like stoneware, earthenware is not translucent. Earthenware is smooth in texture as it is glazed everywhere, with the exception of possibly the bottom of the earthenware piece. The glazing not only helps give a smooth appearance, but also helps its durability. Earthenware is very porous, so it requires the glaze to act as a seal to prevent liquids from soaking it.